Since FeedPress’ wee early years, it’s had a fairly robust and easy to use POST or GET method API, with answers formatted in JSON (YAY). This has given developers access to many parts of the web app. As we’ve been working on things, I realized we’ve never talked about it much on this blog, so this serves as an official announcement as well as update on the latest additions to the FeedPress API (up to July 2018). I’m pleased to announce today that we’ve added numerous methods that bring the API closer to parity with the web app. Some of the most requested features you’ve asked of us are methods to access our podcast hosting service, such as uploading and deleting media files (MP3s). Our most recent addition this summer is adding access to Custom Hostnames. For the uninitiated, Custom Hostnames allow you to fully whitelabel your RSS feeds by utilizing your own domain name with FeedPress, providing the ultimate in flexibility over the structure of your feed as well as complete ownership of your intellectual property. With our new API method, you can register your hostname and path, which previously you could only do via the web app. Adding one hostname and path for an RSS feed isn’t a big deal, but if you need to add a lot in bulk, our API makes it very convenient and efficient. We’ve already had customers utilize this functionality when creating 50+ RSS feeds in one fell swoop via their Content Management System. Our API documentation with full details are available for free. In order to utilize the API, you must have a FeedPress account. Redirects the user to the FeedPress authentication page. See Authentication for more details. Deletes the authenticated user’s token. Retrieves various informations about the authenticated user. Creates a new feed for the authenticated user. Updates a new feed for the authenticated user according to the submitted parameters. Retrieves subscribers statistics for the last 30 days about a specific feed. Retrieves the last readers statistics about a specific feed. Tells FeedPress to refresh the specified feed. Tells FeedPress to record a “virtual” hit for the specified feed. Returns the tracked items for the specified feed. Returns the FeedPress tracking URL for the specified feed and original URL. Retrieves the subscribers list for the feed’s newsletter. Check the status of a particular email in your feed’s newsletter. Adds an email address to the feed’s newsletter. NEW: Uploads an audio file to your podcast hosting storage. NEW: Deletes an audio file in your podcast hosting storage. NEW (July 2018): Create a record for a specified hostname. We would love to hear from you if you have build an app using the FeedPress API. Get in touch and let us know what creative ways you’ve used it in your projects and how it’s improved your workflow. We’ve never written about podcast gear before, and since many of our customers are just getting started, it’s time we made a guide to get you started. This article will break down what you need and will cover different budgets, from beginner to advanced. Some of you have questions about how to record multiple guests via Skype and how to do mix-minus setups, but that’s something we’ll leave for a separate article as it involves more complexity. For the purpose of this guide, all equipment is carefully selected from our personal experience. We don’t recommend anything we haven’t tried ourselves, or trust. We don’t receive kickbacks for product recommendations. There are some items on this list that you’ll need for any of the recommended gear, such as headphones and cables, of which we itemize at the bottom of this article. Note that all prices quoted are recent as of the writing of this article and are in U.S. dollars. 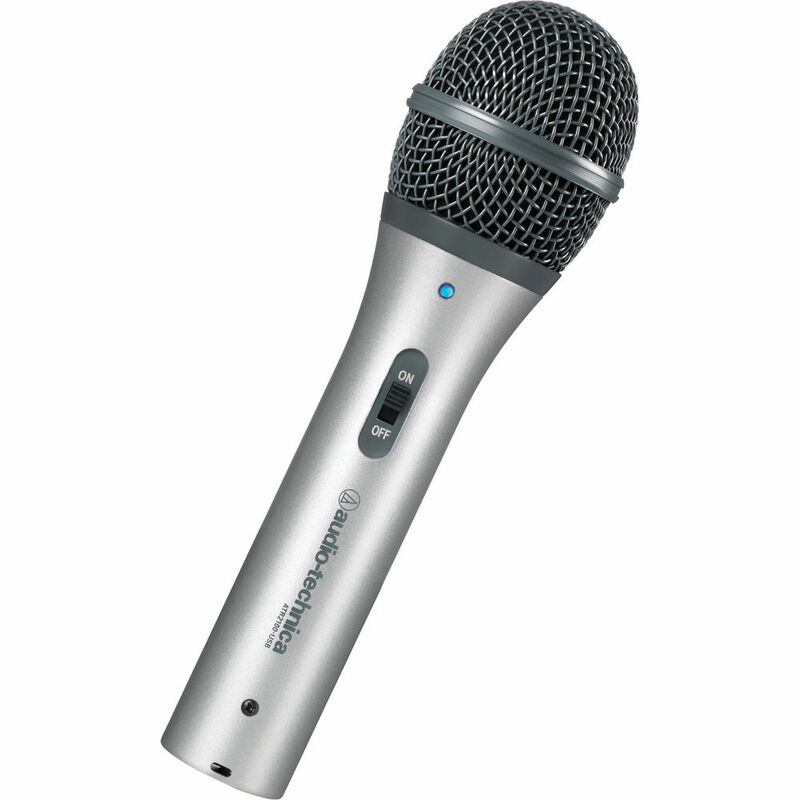 Audio-Technica has a long history of making professional microphones for musicians. The ATR-2100 ($64) is a well built and incredibly inexpensive dynamic USB microphone. 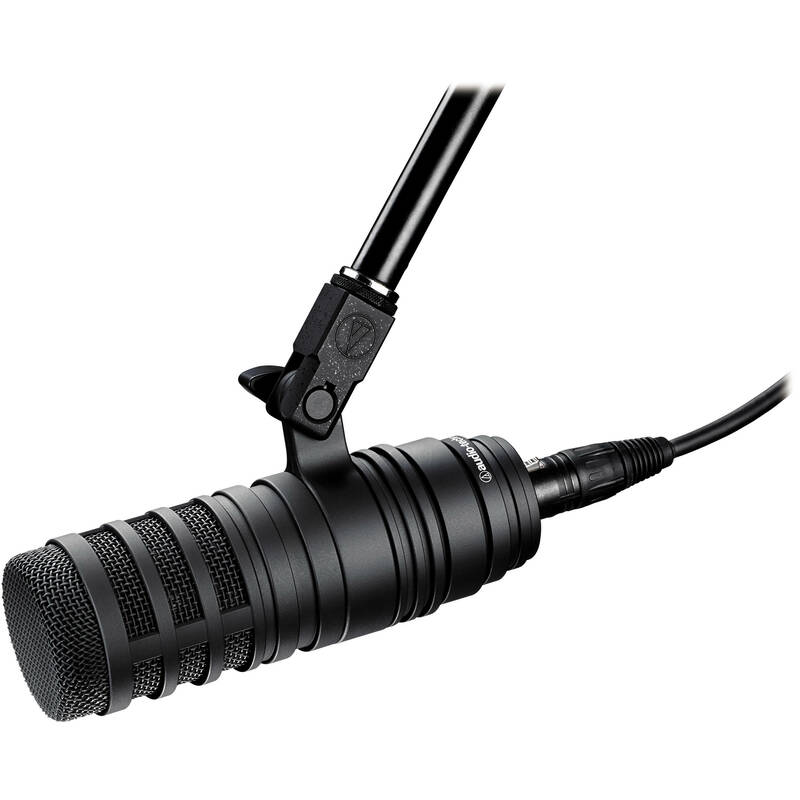 It’s unique in comparison to other USB microphones in the market as it also features an XLR connector, should you wish to connect it to a more professional audio interface. At less than $100, you can’t beat its value. A stand and all the cables you need to hook it up are included. Just plug it into your Mac or Windows-based computer and start recording. When you first consider starting a podcast, you may not want to invest a lot of money on equipment. Thankfully, you can have a great sounding podcast without investing thousands of dollars. Samson Q7 Dynamic Microphone ($79): This is a fantastic sounding microphone with good rear rejection, meaning it will better pickup your voice as you talk directly into it and not as much background noise. It’s ruggedly built, reliable, and affordable. Mackie Onyx USB interface ($99): This audio interface allows you to connect either one microphone or line level device and is bus powered, meaning no clunky external power supply needed. Mackie includes a great sounding preamp that provides enough headroom for dynamic microphone. It’s quite, trouble-free, and affordable. 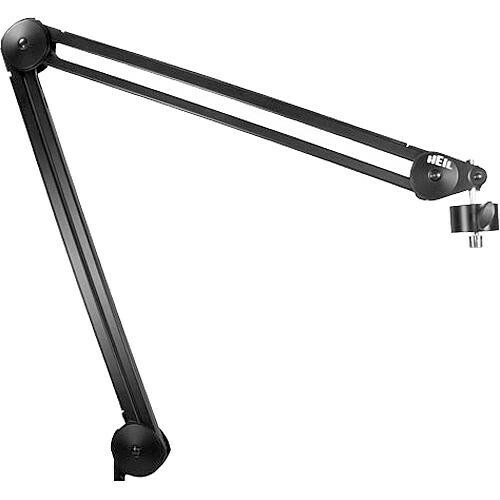 You’ll need to mount your microphone on something, and there’s no better choice in this price range than the Heil PL2T boom ($129). Once you use a boom you’ll never look back. You can clamp it to the side of your desk or permanently mount it using the supplied hardware kit. 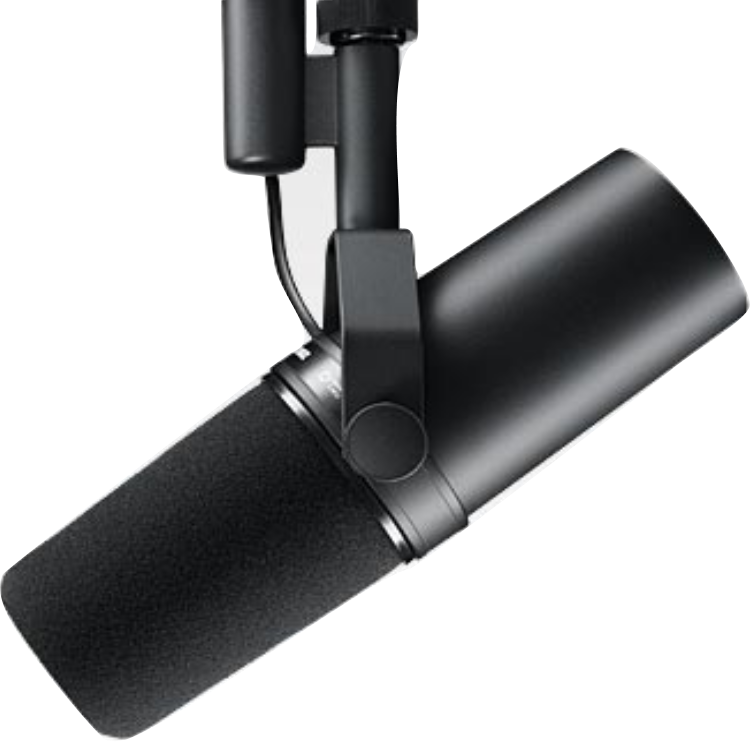 It allows you to easily swivel and move your microphone into a comfortable position, but it also mitigates the translation of low rumble into the microphone from your arms moving around on your desk. it also features built-in cable management so you can hide the cable from view. 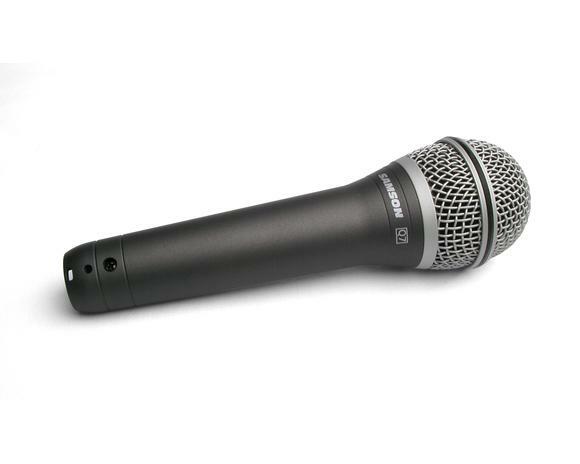 Shure SM7B ($399) microphones are our universal application recommendation for professional sound. They’re incredibly rugged and ubiquitous and you’ll find them in radio stations, voice over studios, and other professional environments. They’ve been used for singers, podcasters, broadcasters, and even on some instruments. We’ve yet to find a voice that didn’t sound good on this microphone. The only caveat is that it is a very low output microphone, which means it requires a lot of gain from your preamp, so you’ll need a good one that isn’t noisy and can provide a minimum of 60dB of gain. As the SM7B is a low output microphone, we strongly recommend getting Triton Audio’s Fethead ($89). It’s a small inline device that connects between your microphone and preamp and smartly converts 48v phantom power into 27dB of clean, noise-free gain. This means you won’t need to drive your preamp as hard, which is always a good thing since that lowers the noise floor. Audio-Technica BP40 ($349): is a new challenger in the world of broadcasting and podcasting. It’s our new favourite dynamic mic. It has several benefits over the SM7B other than being a bit cheaper, such as it’s tighter hypercardioid pickup pattern that picks up more of your voice and less of the noise around you (or the other person across you). It requires considerably less gain in comparison to the SM7B, thanks to its neodymium magnets. When you get to a point where you’re ready for broadcast quality sound, you’ll want a capable dynamics processor/channel strip like the dbx 286s ($199). The 286s is a single microphone preamp and dynamics processor, featuring compression, de-essing, low and high-frequency effect, and noise gating/expansion. This is what we use for our podcasting and it’s one of our favourite pieces of gear. Even though we’re recommending this as part of our advanced podcasting package, it’s not as expensive as you might think. There isn’t a better channel strip out there at this price and ad this level of quality. 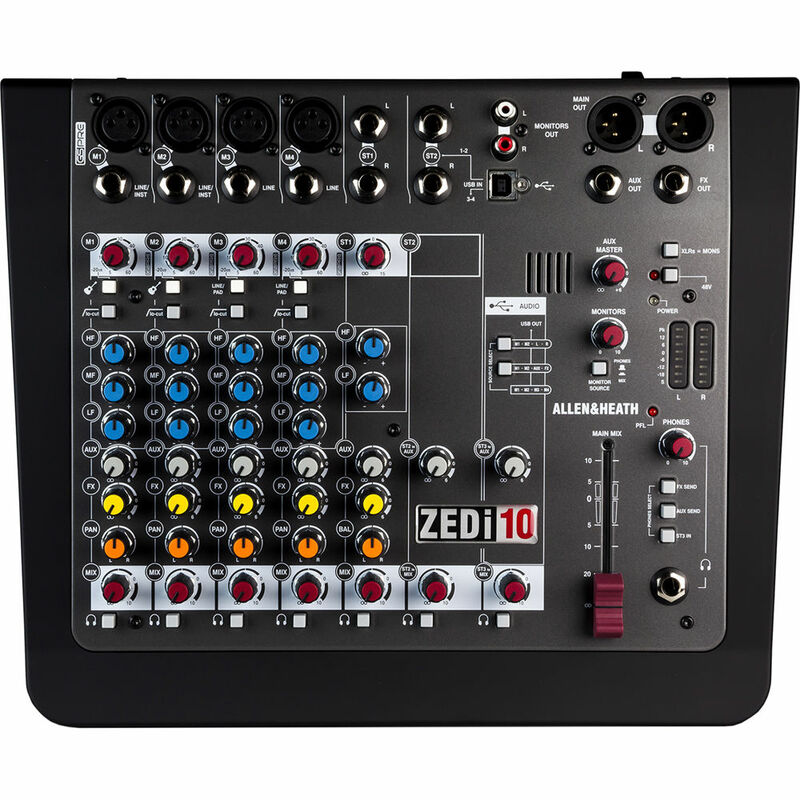 For someone that’s been podcasting for a while and wants the ability to record multiple co-hosts and leave room for expansion, such as the ability to create a Skype/remote caller mix-minus, Allen & Heath’s ZEDi-10 ($199) mixer is a solid choice. It has four quiet, high-powered microphone preamps, multiple line level channels, and one auxiliary out so you can create a mix-minus setup for remote callers. It’s well built and has an excellent multi-channel audio interface, meaning you can record each input channel of the mixer discretely for separation and easier editing. Headphones are essential for monitoring your own voice during a performance as well as for mixing. We recommend the Sony MDR 7506 ($99) headphones for several reasons: they’re well made, sound great, and are comfortable to the point where you can wear them for hours without fatigue. 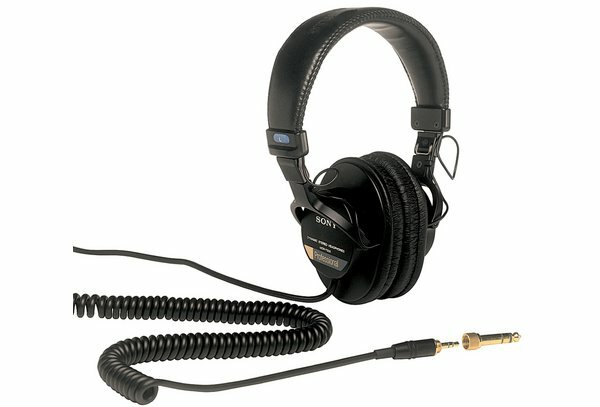 These headphones are inexpensive and are ubiquitous in the broadcast industry. They’ve become a staple because of all the reasons we’ve enumerated. 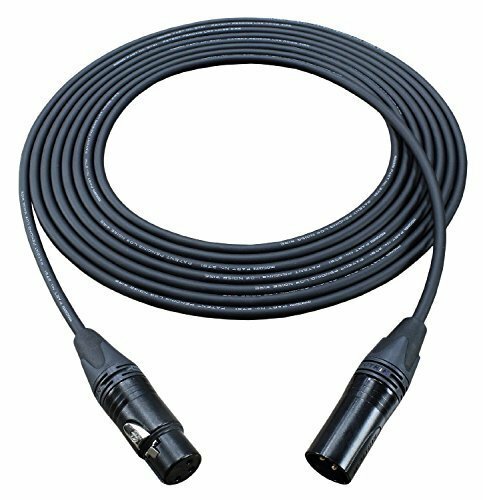 To connect your microphone to your audio interface, you’ll need a female to male XLR cable. 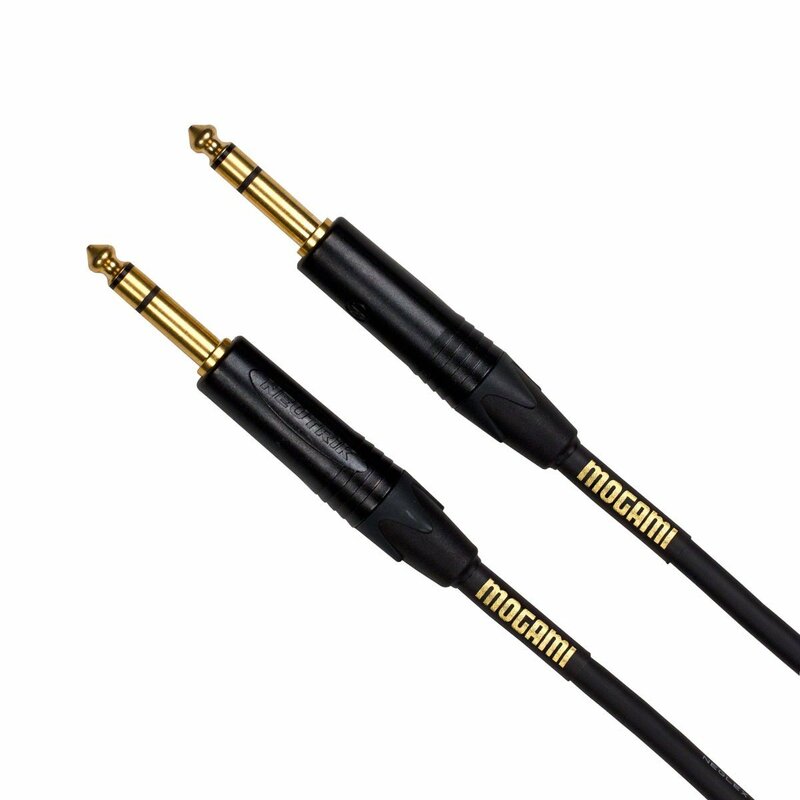 You can use any brand, however, we recommend Mogami cables ($20) because of their superior quality and shielding. If you’re connecting your dbx 286s to a mixer, make sure you get a 1/4″ TRS to TRS cable, which connects the output of the dbx to the input of your mixer on a line level channel. A headphone amp is a necessity if you have a co-host that records with you. The PreSonus HP4 ($129) is a well built and extremely high quality headphone distribution amp. It provides four independent headphone mixes so each guest can adjust their own volume. It sounds fantastic and can power the most demanding low impedance headphones. At the top of the article, we talked about recording multiple remote guests via Skype. This requires further explanation and a completely separate article since it’s too involved in the scope of our podcast gear guide. Subscribe to our blog to make sure you don’t miss that. 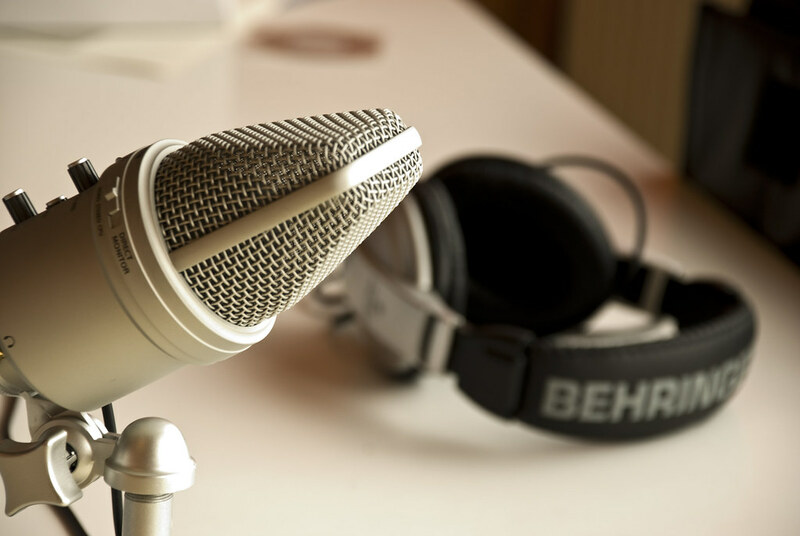 Are you hosting your podcast somewhere else or need a place to host a new podcast? Signup for a no commitment 14-day trial today and use promo code PodcastGear on checkout to receive a free month of hosting! If you have any questions before getting started, don’t hesitate to reach out to us. You can tweet us @FeedPress or reach out on Facebook. Stitcher has announced some favourable changes that will impact podcasters who have content in their directory. What started with initially removing the re-hosting of files and downloading direct to the source, further changes are being made to align themselves better with current analytics methodologies. Last year, we began a process of implementing changes to the way Stitcher communicates with podcasters’ hosting providers. We started by moving all podcasters to direct streaming from the source–the Stitcher apps now make a direct file request to your hosting infrastructure whenever a user chooses to play or download an episode of a show. This change, which we previously made on an ad-hoc basis for podcasters who requested it, gives you better insight into your overall download metrics and better facilitates server-side dynamic ad insertion. To give podcasters more standardized, accurate and granular data about their shows, we will be making additional changes to align Stitcher’s downloading definitions with some of the emerging standards put forth by the IAB. Present a separate “Front Page Impressions” metric in our partner portal. We’re pleased to see these technical changes at Stitcher. As for how this affects FeedPress customers, it’s possible you may see an increase in downloads because of these changes. I’ve talked before about utilizing high-pass filtering to roll-off undesirable low frequencies in audio. This can be done in software via plugins or done in hardware (E.g., on a mixing console or microphone preamp). I suggest reading our primer on high-pass filtering before proceeding with today’s topic, which is phase shifting. What happens to audio when processed through a high-pass filter? So what exactly is phase shifting? Well, let’s first understand what happens to an audio signal as it travels through a high-pass filter. In the example below, you can see I’m rolling off frequencies below 75 Hz at 12dB per octave. High-pass filers typically allow the user to specify just how much is rolled off below the frequency cut off. The higher the decibel value is, the slop increases and a greater roll off occurs. Look at the screenshot above and you’ll see the slope. After applying the filter, you can see that on one axis, the energy of the waveform is displaced. The human voice is often said to be asymmetrical in nature, however high-pass filters can further increase asymmetry. This does not indicate a problem necessarily with the sound quality, but does pose challenges for podcast audio producers as it decreases headroom. Headroom is essentially the “wiggle room” you have as an engineer when processing audio before the source exceeds zero decibels relative to full scale (dBFS). Decibels relative to full scale (dBFS) is a unit of measurement for amplitude levels in digital systems, which have a defined maximum peak level. In the digital realm, 0dBFS is the absolute peak ceiling before audible clipping occurs (or distortion as it’s also known). Now that you understand basic terminology, you see why displaced energy in a waveform can decrease headroom, creating processing challenges as you prepare for loudness normalization. 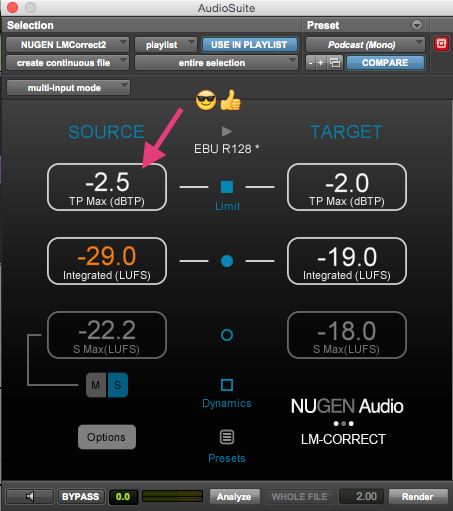 Loudness normalization is an essential step after optimizing your audio (applying compression) as it targets optimal perceived average loudness. This creates consistency for the listener so they don’t need to crank the volume in louder environments and also aids intelligibility of spoken word. If you were to check the maximum true peak of your audio, pre phase shift, you’ll notice the loss of headroom. In the example below, the source checks in at -1.3dB. This is not the worst example, but you’ll get a better idea later on as we shift the phase of the source. To better understand loudness normalization, please read “Loudness Compliance And Podcasts” and “Your Podcast Might Be Too Quiet Or Too Loud“. 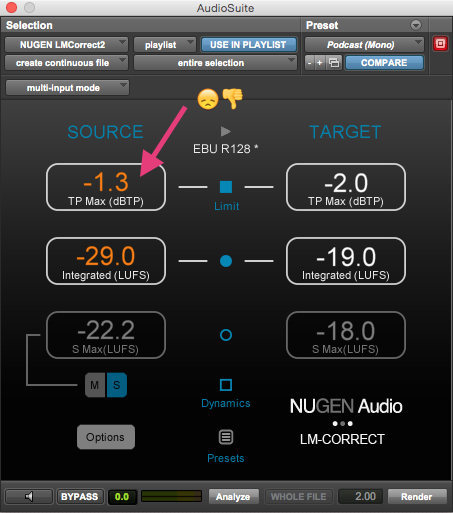 To restore headroom in your audio source after high-pass filtering, you can use third party tools to do so. This demonstration uses Waves’ InPhase plugin, however other tools such as iZotope RX suite contains an adaptive phase correction feature that is even easier. My Digital Audio Workstation (DAW) of choice is Pro Tools. 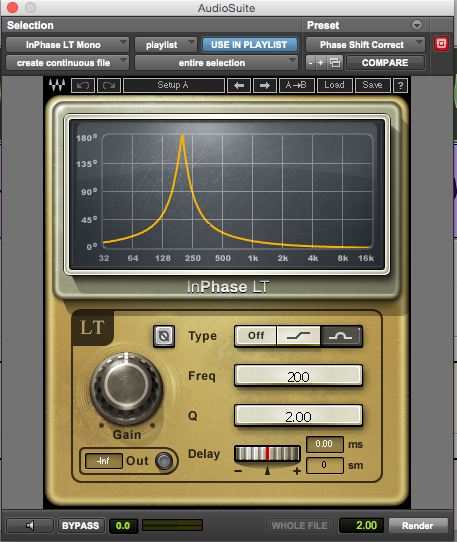 On a mono audio source, I select the clip and instantiate the LT (non live) version of Waves InPhase. I have created a default preset to handle phase shift correction, which you can download from here. Note that this preset is meant as a starting point, so values such as input gain and delay may be tweaked depending on the source you’re working with. An allpass filter is a signal processing filter that affects only the phase, not the amplitude of the frequency-response of a signal. This example demonstrates using a 2nd order filter, which is defined by the frequency at which the phase shift is 180° and by the rate of phase change. The rate of the phase change is dictated by the Q factor. Q sets the width of the 2nd order (Bell) allpass filter: A narrower Q results in a faster phase transition toward the selected frequency, leaving a larger portion of the frequency intact. The InPhase settings came recommended by Paul Figgiani, but they’re meant as a starting point. The significance of the settings are fairly complex. I will continue to explore their significance. Clicking “Render” will process the selected audio and should shift the phase slightly so that the energy of the waveform isn’t lopsided. Now that the phase has been shifted slightly in the correct direction, we have an optimal source to work with for loudness normalization. When the process was started, our our source checked in at -1.3dB. Analyzing the corrected version below, you can see we’ve restored quite a bit of headroom. Hot damn, look at that. Our source is now -2.5dB, a full 1.2dB of headroom recouped! 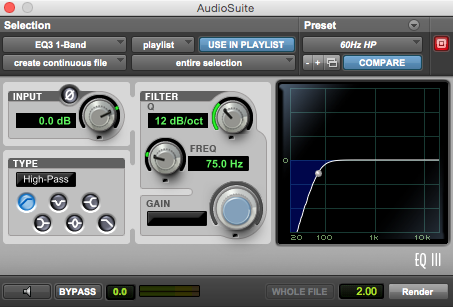 Step 3: Loudness normalization can be done on the source audio with the phase shifted in the correct direction. Headroom has been regained, which means when processing the audio with a true peak limiter, excessive limiting should not occur (this is a good thing as that can squash the dynamics of the human voice). You should have a good understanding how most high-pass filters affect the human voice. It should be noted that the source audio worked with in these examples was high-pass filtered in hardware, not software. The reason why this matters is because linear phase filtering helps avoid the displaced waveform energy discussed, provided the source was not already high-pass filtered in hardware. Linear phase filters are a topic for another day, but effectively they ensure the original phase is not altered in any way during processing. If you have any questions about how the aforementioned workflow is accomplished, don’t hesitate to reach out to us on Twitter and Facebook. Many thanks to audio engineer Paul Figgiani, whose experience and breadth of knowledge rivals my own. He continues to be an inspiration and aided in the accuracy of this piece. Make sure to check out his blog: ProduceNewMedia.com. 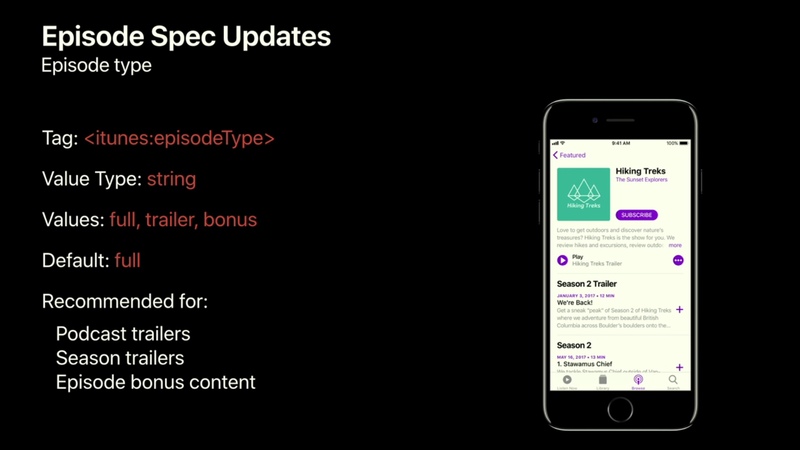 The week of Apple’s World Wide Developer Conference (WWDC), Apple announced that they have updated their RSS podcast spec to include additional tags for podcast publishers. These tags will provide support for additional functionality inside of their own “Apple Podcasts” app. 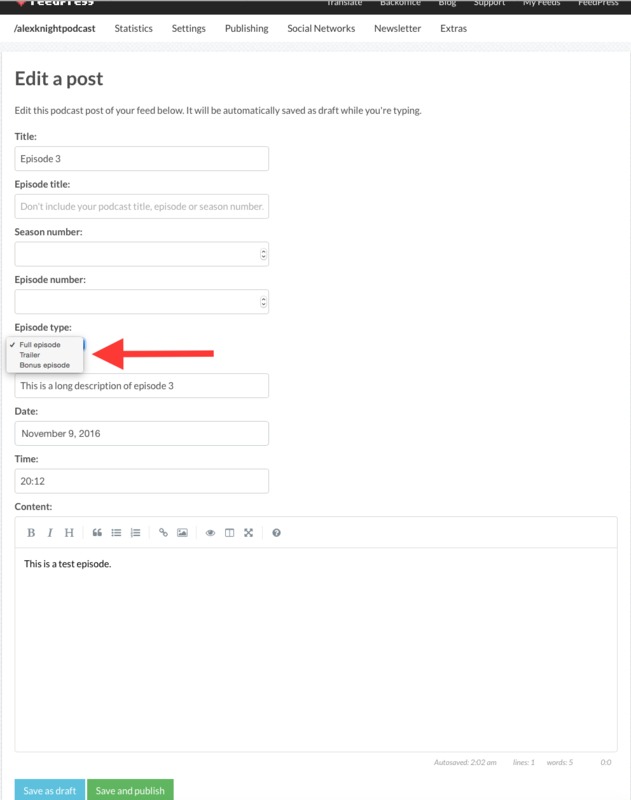 The tags themselves add features that many podcasters have been looking for, such as the ability to specify an episode as trailer, bonus, or full episode. Customers who use FeedPress’ podcast publishing platform can use the “Episode Type” field to specify an episode as a trailer, bonus episode, or full episode, as illustrated below. it should be noted that whilst the tags can be included now, we won’t see the changes reflected until Apple releases iOS 11 to the public, which won’t be until September and likely after the release of iPhone 8. 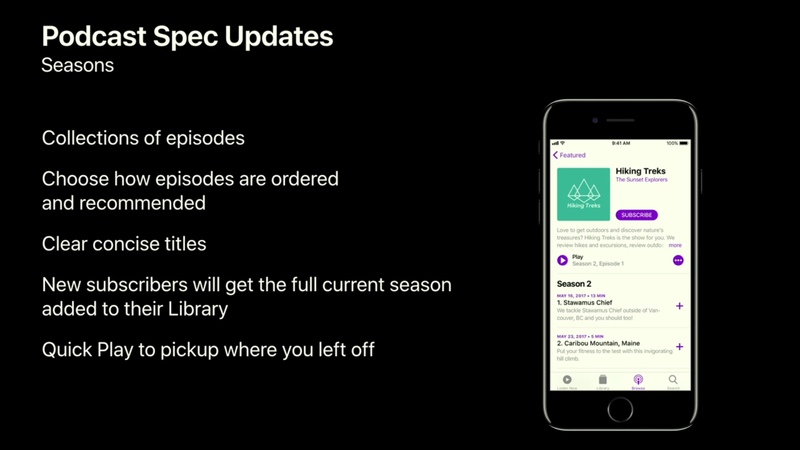 It’s really exciting to see Apple moving the needle on podcasts to improve both the listener’s and publisher’s experience. What do you think of the new podcast tags and the changes to Apple’s podcast app on iOS 11? Leave a comment below to chat with us.